Please note there is a 10 person minimum on lunch orders. Delivery and Sales Tax Not Included. $9.25 Please See Selections Below. $9.50 Includes One Entrée, Two Sides, Garlic Bread, Sweetened Tea, Ice & Disposables. $10.50 Includes One Entrée, Three Sides, Garlic Bread, Sweetened Tea, Ice & Disposables. $12.50 Includes One Entrée, Four Sides, Garlic Bread, Sweetened Tea, Ice & Disposables. $11.00 Boxed Lunches. Please See Menu Below. ​To Substitute Yeast Rolls, Please Add $1.00. Cooked Slowly. Delicious and Tender. $9.25 Includes One of the Following Entrée Dishes, House Salad with Ranch Dressing, Bread, Dessert, Sweetened Tea, Ice & Disposables. Includes One Large Sandwich on Croissant, Chips, Fresh Fruit, and Cookie. For Dinner or Weekend Pricing, Please See Dinner Menu. 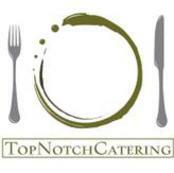 For Weddings/Events, Please See Events Menu.